Our technicians and staff are dedicated to helping you live and work in a pest-free environment. We employ safe extermination methods to ensure you, your family, employees, clients, and pets are safe. As part of our commitment to customer satisfaction we are constantly looking for ways to improve your experience with us. Whether it is extending our business hours to accommodate our customer’s busy schedules or investing in new pest management products, we work hard to stay up-to-date in our industry. This page will allow you to stay current with what is going on in our company and our pest control services in East Valley communities. Our service area includes Queen Creek, Gilbert, Chandler and Mesa, AZ. 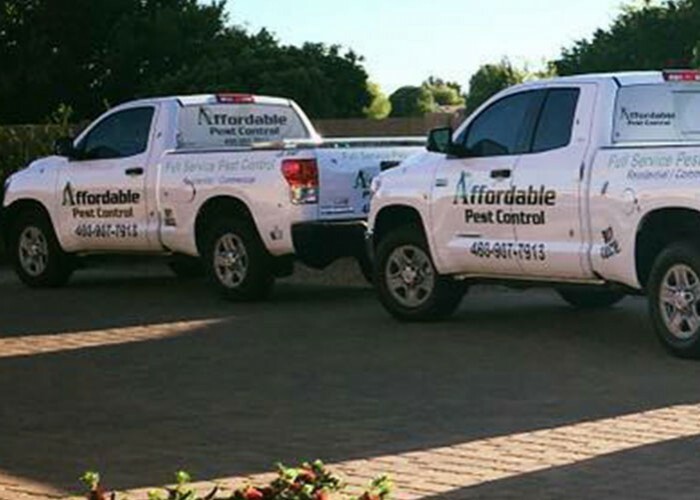 For more information about our pest control services, monthly or bi-monthly treatments, or to receive a free quote please contact Affordable Pest Control today at 480-907-7913. We look forward to working with you. For more news and information about our company, please check out the blog posts or visit our Facebook page!